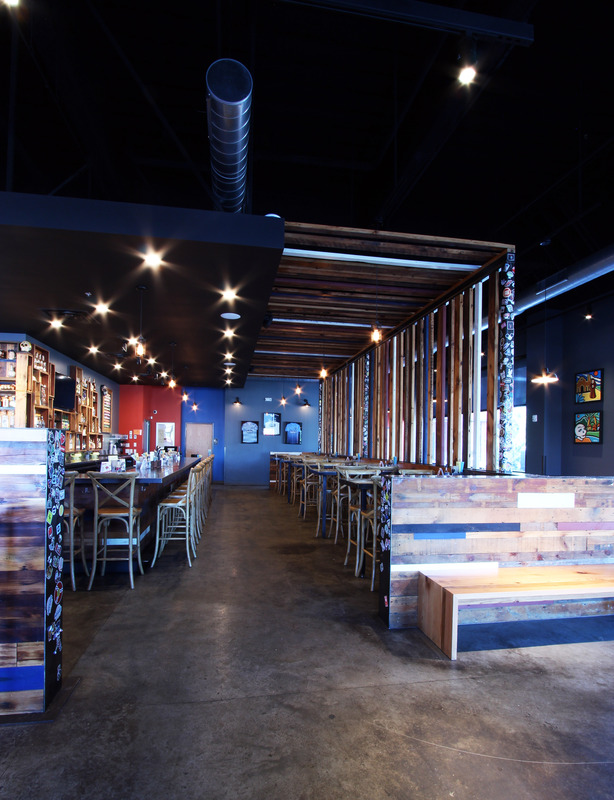 Mission Taco Joint is a local favorite, and for good reason: An impressive list of tacos (Duck! Portobellos and goat cheese!) with an equally impressive list of drinks, all enjoyed in a funky, comfortable space. After opening three outposts in the city of St. Louis, the owners decided to cross the river to spread the taco love. After selecting a space in the Streets of St. Charles development, we were charged with making a sterile glass-and-concrete space warm and inviting. 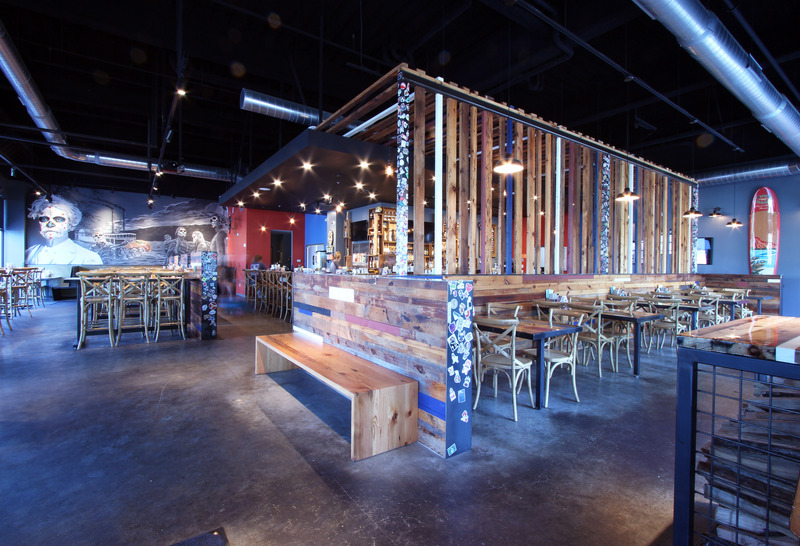 The palette is simple and consistent with the other restaurants: concrete floors, steel, and reclaimed wood. These materials were used in both the architecture and the furniture. 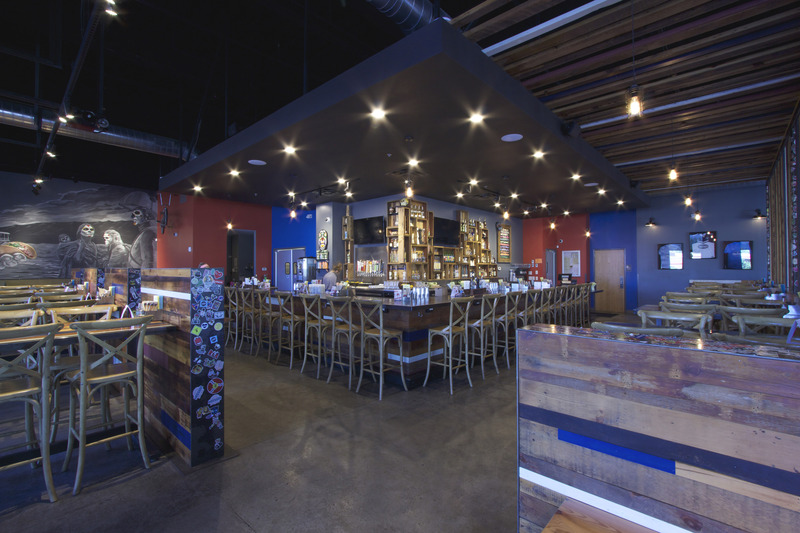 To lower the scale of the 20-foot ceilings, our team floated a large soffit above the centrally-located bar, and partially enclosed the rest of the bar with a reclaimed wood canopy. 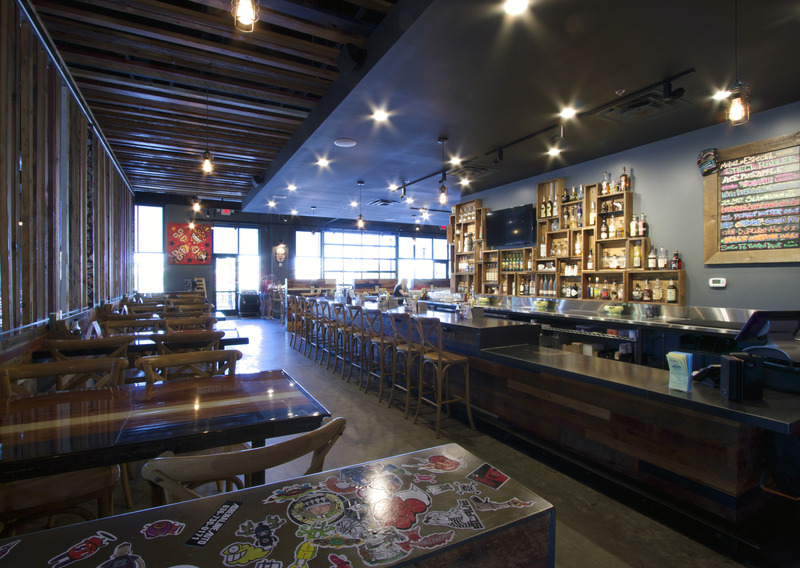 The backbar features a series of reclaimed wood boxes of random sizes and shapes to display liquor bottles. 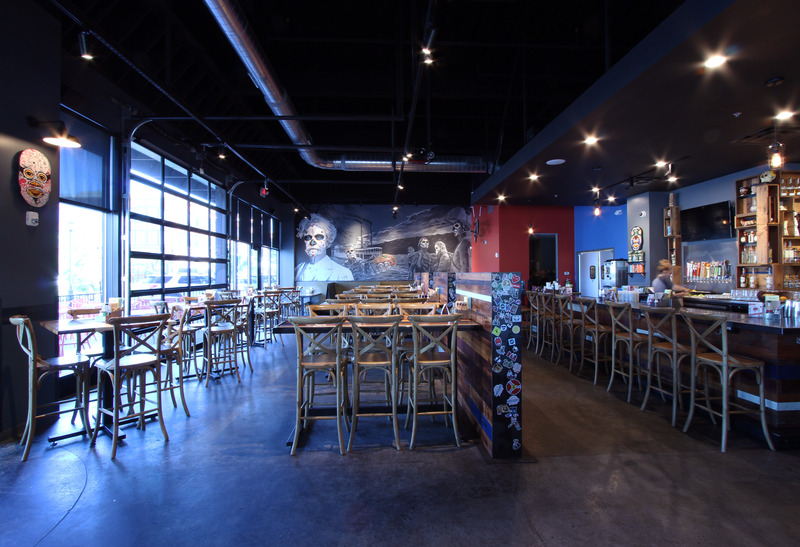 Lighting is simple and industrial looking to draw attention to the collection of local art on the walls. 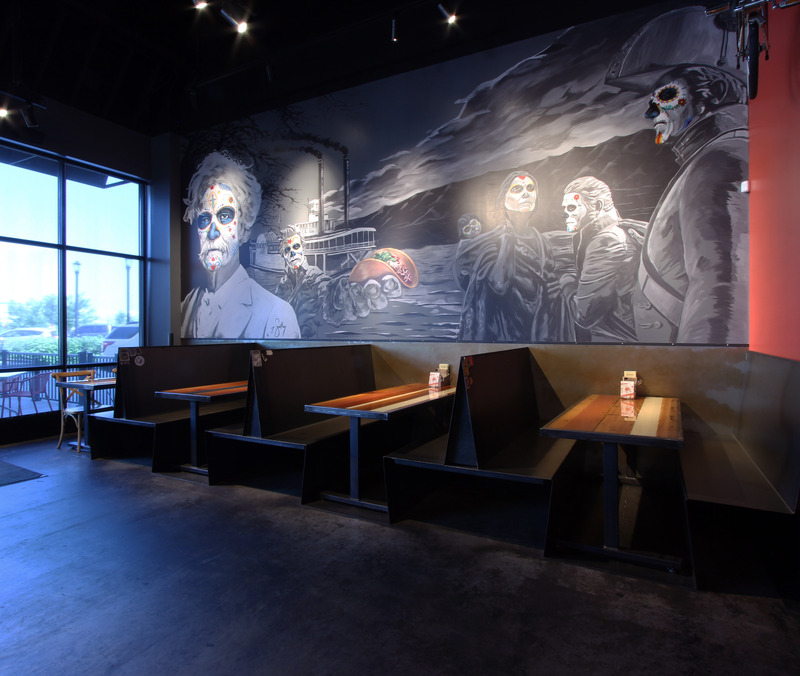 The main dining area features a mural by local artist Zack Smithey.